Three day weekend – Thank you Ma’am! A long weekend, thanks to the official Queen’s Birthday, was just what we needed. Colds, coughs and snuffles have us at their mercy. Welcome to winter! Poor Alice is so full of gunk that lying down to sleep isn’t a comfortable option. Dan and I have been a tag team with midnight buggy pushing, starlit drives and zoning out in front of Baby Einstein – anything to get her to be still or nap so we can get a little shut eye. Thankfully she is still smiling, even though some coughing fits threaten to erupt into vomiting – such is the force of her coughing – gah! All rather unpleasant. Lots of steamy showers and baths are definitely all the go. We haven’t been totally rugged up indoors though. 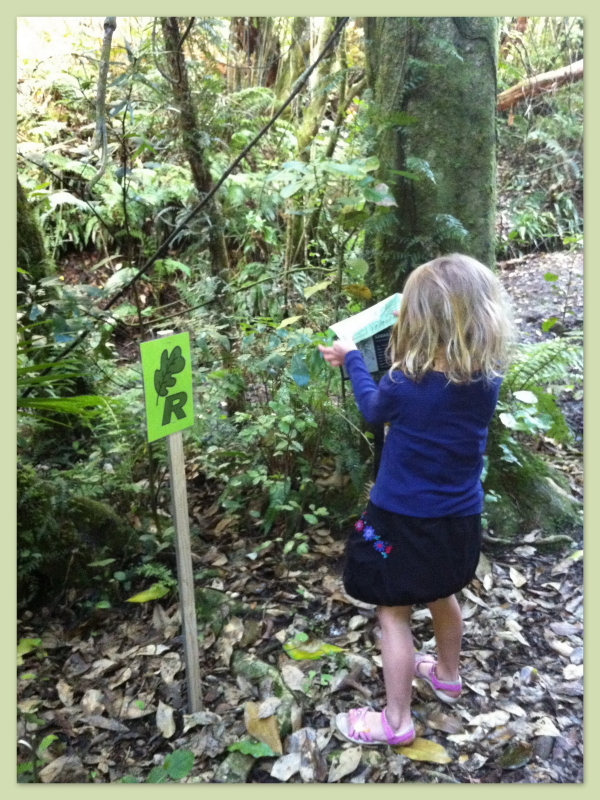 We got out of Saturday morning to Zealandia and had fun doing a clue finding trail to mark World Environment Day. We all learned something new about the native New Zealand flora and fauna. Sunday afternoon was a very rare treat out, sans children, for Dan and I. Frances looked after the girls, though Sophie was reluctant for us to go initially (she’s experiencing separation anxiety – which can affect children of her age group – read about it here). 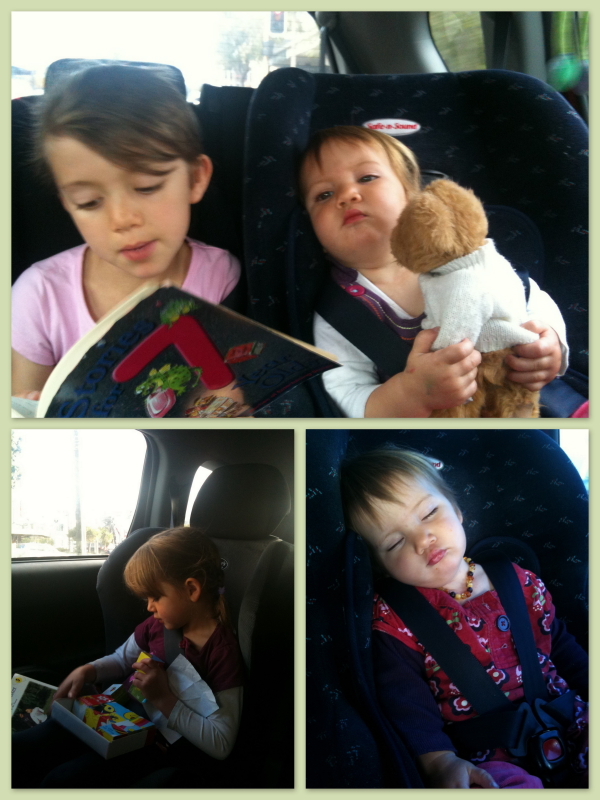 Thankfully, Frances is amazing and had plenty of fun things to do and eat, which distracted Sophie a treat. We got a text from Frances, an hour into our meal, to say Sophie said, ‘Tell Mummy and Daddy to stay out longer! This is fun!’. Well, Dan and I certainly enjoyed the rare treat of sitting down to a meal and a couple of drinks, just the two of us. Anyone with young children will appreciate that a seated meal, particularly of two courses, is almost impossible with little people around. And remaining seated involves an arsenal of distraction tactics, books, toys, doing strange things with napkins and spoons. 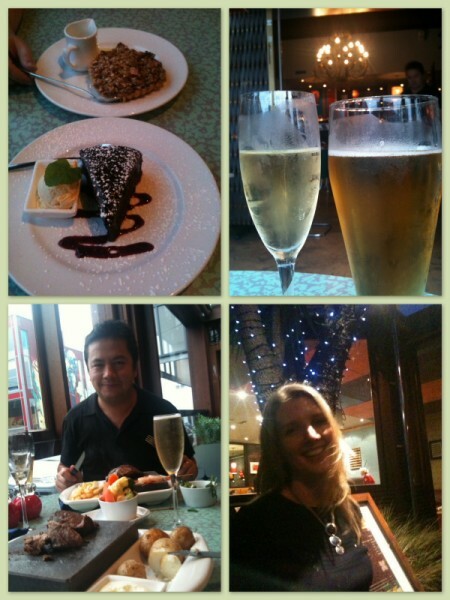 We went to the Southern Cross, a favourite stomping ground from our ‘BC’ days. It’s popular with families during the day too, especially on Sundays. We sat in the restaurant area, where it was peaceful and quietly enjoyed not having to respond to cries of, ‘Mummy!’ for a change. A couple of hours away from the constant demands of family life was definitely something we need to schedule to do a lot more often. It’s been several months – way too long. When we got home the girls were all happy and had enjoyed a fun time with Frances. Knowing we had Monday as a public holiday made us all feel relaxed too. We didn’t get up to heaps on Monday. It was nice to have some time just ‘to be’ at home. 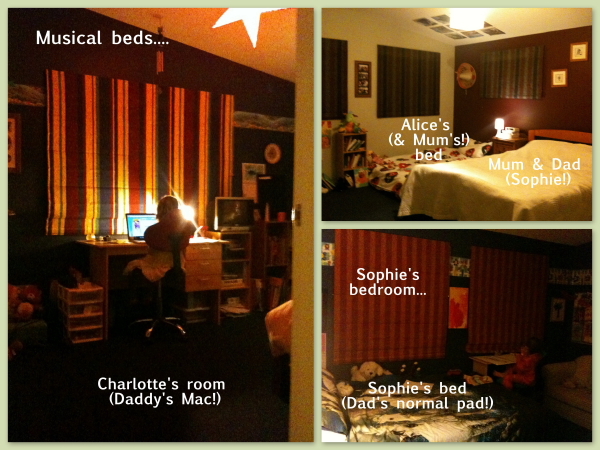 We caught up on some chores and tidied the bedrooms. On Sunday morning I’d had a chance to rediscover our upstairs carpet under all the fluff, popcorn and tatters of paper. Dan took the girls out to ‘Junglerama‘ (very brave) and I had no excuse but to do a work out with the vacuum cleaner! Monday afternoon I enjoyed a chance to catch up with an old friend, who is expecting her first bubs near Christmas. My good ‘ole maternity clothes stash is once again out on loan and proving useful (I really don’t expect to ever make use of those clothes again). 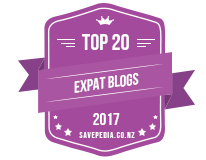 We sat by the window at the wonderful Maranui surf cafe at Lyall Bay, whilst Dan played with the girls on the beach. They found tons of red and blue jelly fish to ‘squish’ (poor jelly fish!). My friend and I joined them on the beach for a game of prison tag (the games they come up with! – Thankfully if was easy to get out of jail – someone else just had to come into the safe zone next to the jail and shake hands with a prisoner to release them!). So a busy weekend, with the extra day very much appreciated (thank you Ma’am). Day one of ‘unschooling’ with Sophie – though she’s thick with cold, as is Alice, and we are all tired so we’ll be taking it easy (saying that, she’s non-stop learning – reading books, drawing, computer maths games, making things out of boxes with her little sister…). I’m starting a blog to run alongside this one, called, ‘Many Paths to Learning’ to document our journey this year. Alice, Charlotte, Dan, Sarah, Sophie cafes, date time, family time, maranui surf cafe, the cross. permalink.